This is the decade of the environmental movement, with the creation of the first green parties and the setting up of the first environment ministries in government. The Club of Rome publishes The Limits to Growth, a book which stresses the importance of the environment, and the essential links with population and energy. The first UN Conference on the Human Environment leads to the creation of the UN Environment Programme. The European Economic Community adopts its first Environment Action Programme, and starts developing a vast body of Community environmental legislation. An oil price shock is sparked by the Arab–Israel war and triggers action on energy efficiency. An explosion near Seveso, Italy, releases a toxic cloud containing dioxin. The first World Climate Conference takes place. A panel on climate change set up by the National Academy of Sciences in USA advises that ‘A wait-and-see policy may mean waiting until it is too late’. Membership of the EEC grows to nine with the accession of Denmark, Ireland and the United Kingdom. The US Environmental Protection Agency is established. The international environmental organisation Greenpeace is founded in Vancouver, Canada. The United Nations Conference on the Human Environment is held in Stockholm. This leads to the creation of government environment agencies and the UN Environment Programme. EU environmental policy was formally founded through the European Council declaration made in Paris in October 1972. The EU adopts its first Environment Action Programme, based on the ideas that prevention is better than cure and the ‘polluter pays’ principle. The first environment ministries are established. 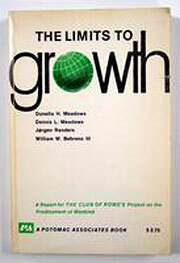 The Club of Rome publishes The Limits to Growth. It stresses, for the first time, the importance of the environment, and the essential links with population and energy. In January, Denmark, Ireland and the United Kingdom join the European Community, bringing membership up to nine. A small Environment and Consumer Protection Service is set up and attached to the European Commission department for industrial policy and a Standing Committee on the Environment is created in the European Parliament. The Arab–Israeli war of October leads to an oil price shock and economic problems in Europe, sparking action on energy efficiency. Car-free Sundays are organised throughout Europe. Scientists suggest for the first time that chlorofluorocarbons (CFCs) may be causing a thinning of the ozone layer. The Community starts building its body of environmental legislation with the adoption of — among others — the Waste Framework Directive (1975), the Bathing Water Directive (1976) and the Birds Directive (1979). An explosion occurs on 10 July at a chemical plant near Seveso, north of Milan in Italy. A toxic cloud containing dioxin contaminates a densely populated area. In 1982, the Seveso Directive is issued to prevent major accidents with dangerous substances. Oil tanker Amoco Cadiz spills 68 million gallons off the coast of France. A partial meltdown of the Three Mile Island nuclear plant in USA puts the future of nuclear energy in question. The first World Climate Conference takes place in February in Geneva, Switzerland. A panel on climate change set up by the National Academy of Sciences in USA advises that ‘A wait-and-see policy may mean waiting until it is too late’ to avoid significant climate changes. For references, please go to https://www.eea.europa.eu/environmental-time-line/1970s or scan the QR code.